Heat oil in a pan, add diced onions & cumin seeds and cook on a medium heat until soft and golden brown in colour. 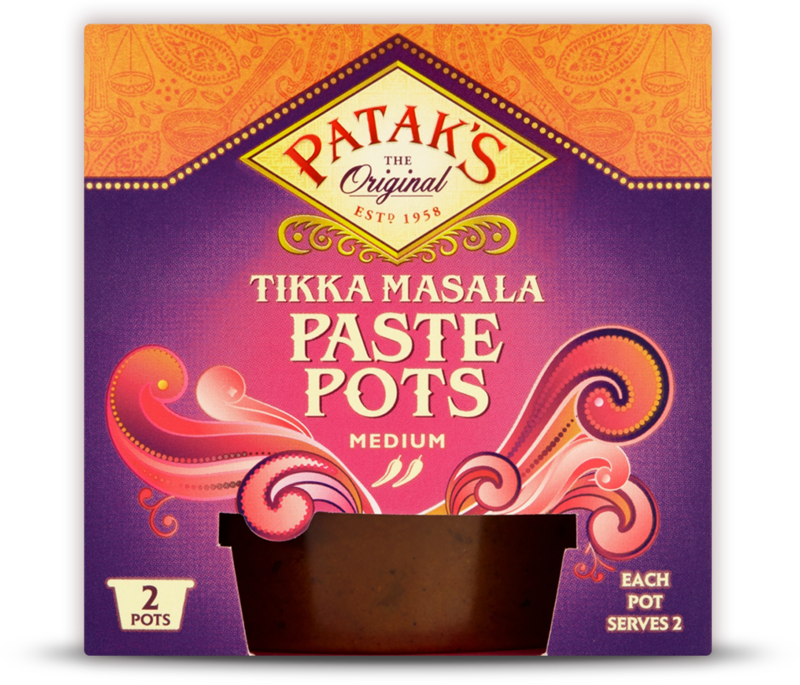 Add Pataks Tikka Masala Paste Pot and 70ml water and cook on a medium heat until all the water evaporates. Add the diced chicken and cook until the chicken is seared & coated in the spices. Once seared, add the tomato puree and chopped tomatoes, and cook for 15 minutes. Once chicken is cooked through, add the honey and stir in the cream. Garnish with coriander and serve with basmati rice & naan bread.